This Halloween, get your buddies together for a revolutionary group costume experience by dressing up as rock and roll legends, KISS! Our Authentic KISS Spaceman costume will help complete your authentic, Rock the Nation look. 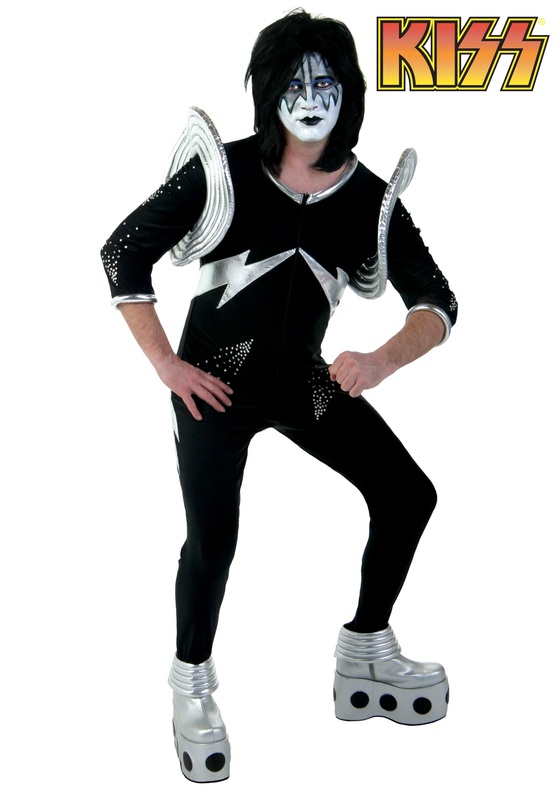 This Spaceman costume includes a black jumpsuit that zips in the front down to the waist and has 3/4 sleeves. The legs of the bodysuit include black elastic stirrups while the collar and sleeves are lined in a shiny, silver foam trim. The same material creates lighting bolts across the torso. These bolts circle around and meet in the middle of the lower back. Lighting bolts are also sewn onto the side of the legs beginning below the knee. These bolts make their way up the thigh and meet in the back of the waist. The chest, sleeves and waist of the jumpsuit are embellished with small, silver rhinestones that are grouped together to look like the tail of a shooting star. Also included are shoulder discs made from the same shiny, silver material seen throughout the costume that consist of 5 concentric foam rings. They are secured to the shoulder with four snaps. 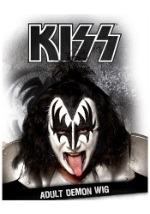 Go from member of the KISS Army to a true member of the band with this fantastic, one-of-a-kind collectors' costume! 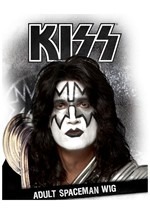 For the full KISS experience, check out our authentic KISS makeup, boots, and wigs!